TETRON PTFE FEP Tubing offers an unmatched balance of properties making it useful for a variety of harsh service uses. FEP offers benefits that are currently unavailable with PTFE. It can be produced in practically unlimited continuous lengths, reducing waste. It has much greater clarity than PTFE and has been found to be superior in cryogenic service. FEP tubing is chemically inert to essentially all industrial chemicals and solvents, even at elevated temperatures and pressures. However, it reacts with fluorine, molten alkali metals and molten sodium hydroxide. FEP absorbs practically no common acids or bases at temperatures of 200 C, for 12 months exposure. Tetron PTFE tubing is available in over 100 sizes ranging from 0.30mm I/D to 28.0mm O/D and wall thicknesses from 0.15mm to 1.5mm. 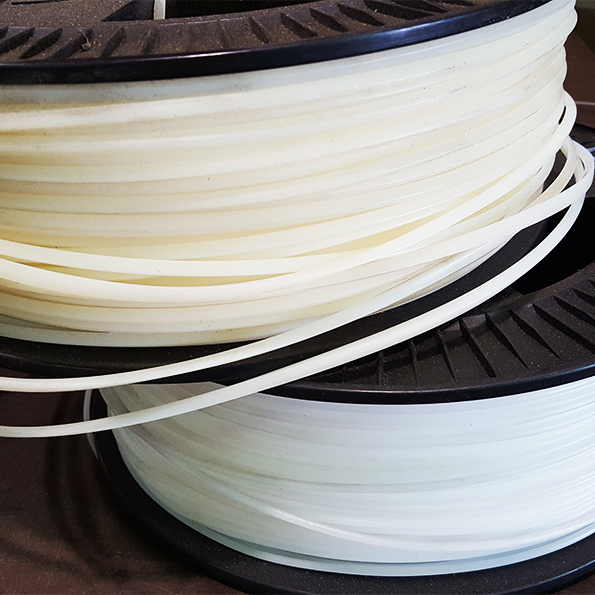 Tetron PTFE and FEP tubing are also available in colours and metric sizes on request.